Visiting Santorini and wondering where to stay in Santorini? Wait no more! Here are all the details per traveler type regarding hotels in Santorini. 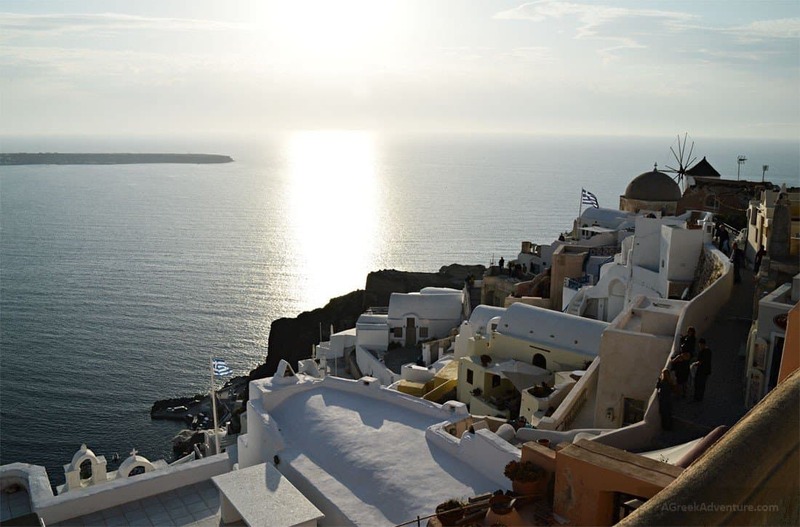 No visit to the Mediterranean is complete without a stopover in the Greek islands of Santorini. The place is charming, warm, and provides uninterrupted views of the adjacent oceans. This is not to mention that it is constantly bombarded by a stream of gentle sea breezes from all the four corners. This combination of factors makes it all the more inhabitable and great for relaxation. Knowing where exactly to stay while on the island chain is therefore vital. You do not want to either spend more, get too confused, or end up in the wrong place to stay in a bad accommodation facility. A suitable and pertinent guide of this kind is therefore by all means called for. Where to stay in Santorini per traveler type? What are the best Santorini honeymoon accommodation options? Where families with kids are best to stay in Santorini? We have delineated the various reasons for which a visitor may opt to spend his time in the islands and how to choose hotels in Santorini. We have subsequently identified the accommodation facilities and regions within the island chain that may suit those specific activities. As pertains matters resources, there is a great divide between the east and the west sides of the island. The east side confers great sunrise views and the adjacent Mediterranean sea, of course. Beyond these two resources, that portion of the island does not offer any more to a would-be visitor. The west side of the island chain is by far the better and more resource-rich portion. This is because it has so many resources that a would-be visitor may find fulfilling. These include the breathtaking views of the caldera, sunset, adjacent ocean, and awesome cliffs, among others. 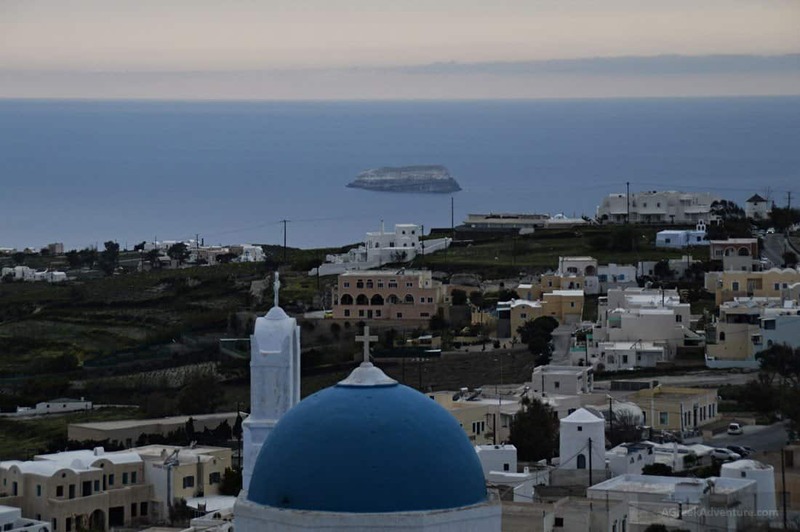 With regards to the above descriptions, some of the best towns and localities to consider setting up the base while at the island are Fira, Imerovigli, Firostefani, and Oia. They also possess numerous accommodation facilities that are available at great fees and resource combinations. Some of these facilities include Cosmopolitan Suites, Grace Santorini, Tsitouras Collection, and Maregio Suites. They are more likely to yield you the breathtaking and uninterrupted views of the ambiance. 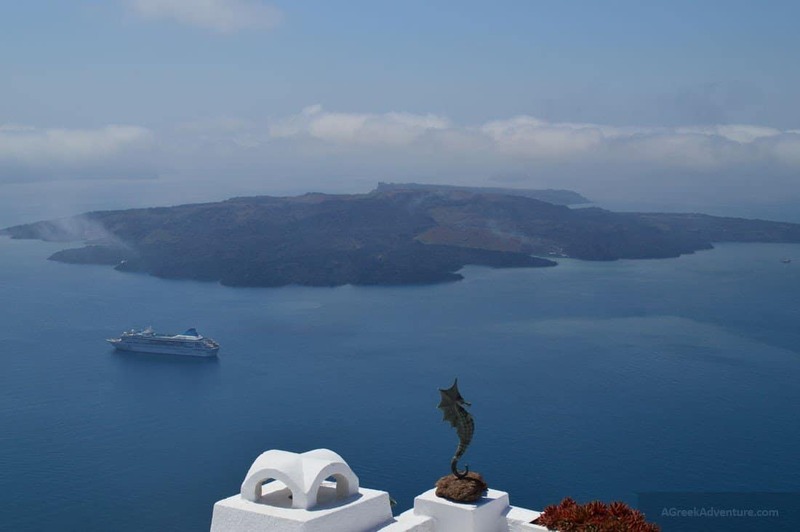 Click on all links mentioned in the post to explore your options and where to stay in Santorini. Have you recently wedded or planning to hold a wedding? If so, you may wish to spend your honeymoon at the island and have all you need in a walking distance. The island does have numerous spots that are great for honeymoon and other wedding-related activities. They dot the entire length and breadth of the island. They also provide extra services like airport transfers, photography, private suites, and unhindered views of the surrounding environment. 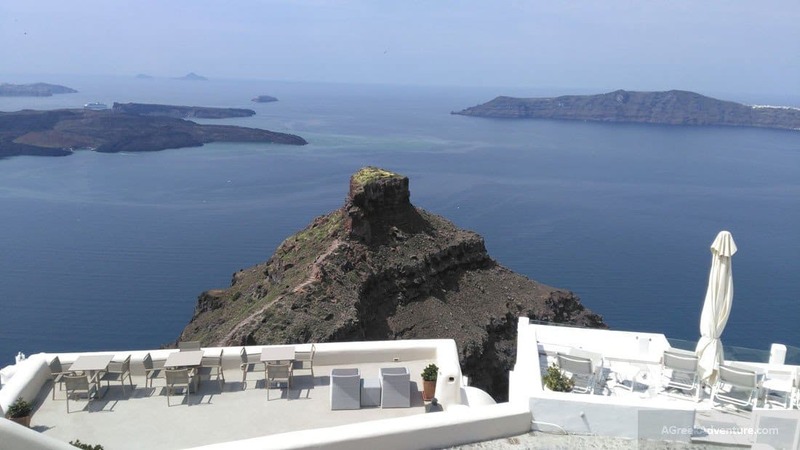 Some of the greatest honeymoon facilities and hotels in Santorini are: Art Maisons Oia Castle (Oia), Grace Santorini, Tsitouras Collection, Honeymoon Petra Villas, Andronis Honeymoon Suites, and Absolute Bliss, Iliovasilema Suites (read our post for Imerovigli). They possess all the resources required for a great honeymoon experience. Moreover, some of them devote whole sections to matters honeymoon and honeymoon alone. While planning for the honeymoon to the island, the summer would be the most appropriate time. This stems from the fact that the island is less crowded at this time. You will thus find enough room to spend the valuable time with your spouse. The limited population also means greater privacy and diminished competition from other like-minded persons. If you are planning a visit to the island with the whole family and kids, you too will be well taken care of and better to stay at locations where the beach is at walking distance. The island is indeed dotted with numerous beaches, spots, and other environments that are great for kids and whole families. What’s more? A couple of hotels in Santorini, tours and travel companies and other accommodation facilities are wholly dedicated to children and families. Read our post for: Best beaches in Santorini. There are hotels in walking distance. These facilities enhance the activities of children and families in a variety of ways and means. They have vast and secluded spaces for families to rest. Some of them devote whole segments of their compounds to matters children and children alone. These include putting in place child gaming equipment like bouncing castles, swings, swimming pools, and playgrounds that are wholly dedicated to the young children. They also tailor their charges and food services exclusively to the needs of children in mind. Are you a couple that has already celebrated honeymoon but have yet to start childbearing? If you answered yes, then Santorini is also an island for your unique circumstance. 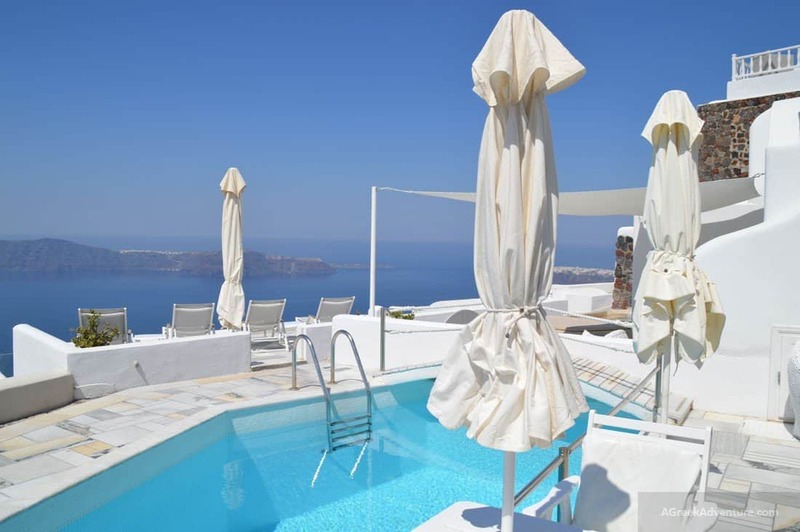 Regardless of your tastes and preferences as a couple, Santorini has a place to stay, especially for you. It has a few adventurous trails, open seas, beaches, volcanoes, and other great sites which you may consider enjoying and exploring jointly. What’s more? There are almost no restrictions as pertains capturing photographs and shots on the island. This subsequently gives you the leeway to capture as much of the island as you possibly can. The town of Fira (Thira) has a great nightlife. You might want to stay at the place if you are that kind of a couple that cherishes this kind of lifestyle. It also possesses hotels with private pools and infinite pools, with excellent relaxation facilities. If you do not have that much money to spend, you may consider setting up base at Karterados. The area contains numerous cheap hotels for your consideration. 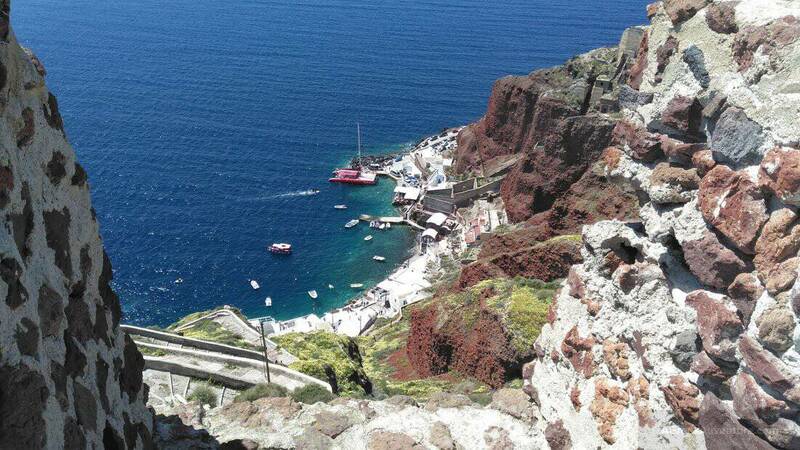 Indeed, the entire Santorini is in and of itself an active volcano. Right next to the island is a lagoon that has an island that comprises an active volcano. Since most visitors to tour the island do so mainly to capture these views, the said areas of the island are ordinarily the most expensive. They have windows and balconies that overlook the respective calderas. They thus enable you to view these features uninterruptedly and at the comfort of your own hotel suite. They also provide shelters just in case things go wrong. If you are a fan of everything nightlife, you have Santorini yet again for your consideration. This chain of the island has numerous entertainment spots, joints, discos, bars, restaurants, and concerts. These facilities are open typically every night. They operate the entire night and serve a variety of menus that are geared to the nightlife enthusiast’s unique tastes and preferences. Moreover, these facilities also hold concerts, live performances, and other entertainment feats from time to time for any would-be visitor. If your choice of where to stay at the island is mainly dictated by the need to fully leverage the nightlife, you have a number of accommodation facilities for your consideration. 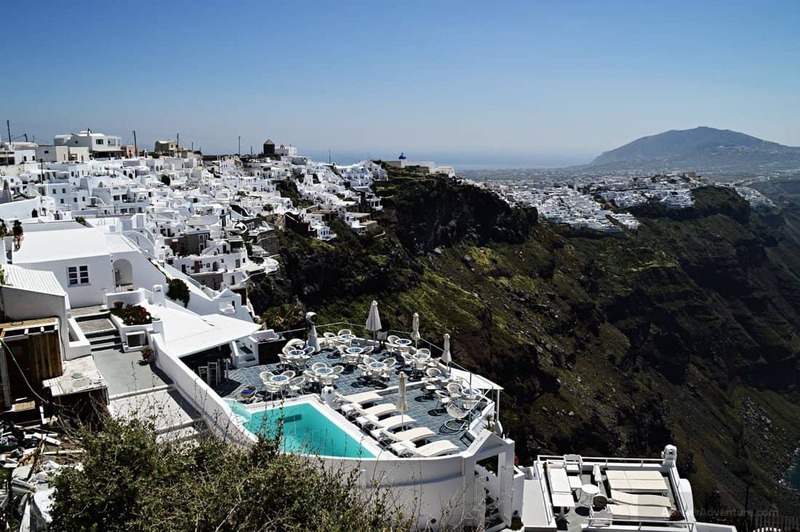 The Cosmopolitan Suites, (Fira), Kira Thera Jazz Bar, and Tango Bar Santorini are some of the facilities to look up to. Of all the islands in the Santorini chain, no other comes next to Mykonos as pertains matters nightlife. You may, therefore, wish to devote a substantial chunk of your time there. Given the fact that the island is surrounded exclusively by water, it is by default great for everything beach life. 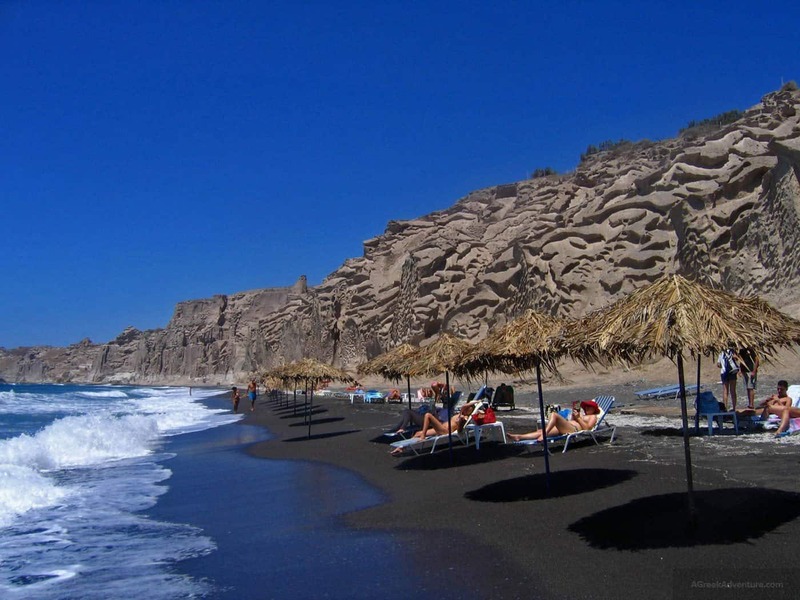 Read a great post for Santorini beaches from here. These beaches not only adjoin the Mediterranean Sea, but also possess clean sandy locations, and hanging cliffs in their background. They are clean and sheltered. They are also bombarded with strong sea breezes from time to time. These make the beaches quite handy to anyone who cherishes a private and relaxed lifestyle. Even though every length and breadth of the island contains beaches, some do particularly stand out. These include the Kamari, Perissa, Oia, and Fira. Other than merely providing you with a place to stay they are great to relax. The beaches also contain numerous other resources. Read our post for: Best beaches in Santorini. Some of these resources are pre-historic museums, old castles, ancient ruins, and breathtaking sandy beaches. In your search for the most suitable beaches, you may consider giving them a topmost priority as they are more likely to satisfy your wishes appropriately and return higher value for money. They are also more secure and private than most other beaches. Santorini is a wholesome tourism paradise. This is to mean that it caters to the needs of all cadres of persons. These include elderly persons as well as others who may not necessarily be elderly but nevertheless have issues with mobility. It fits this bill perfectly by reason of possessing facilities that are friendly to the disabled and immobile persons. On the whole, you are advised against touring the western portion of the island as the area contains numerous stairs that may not be easily tackled by persons with disabilities. Instead, consider touring the eastern portions of the island. Moreover, the hotels that are located in the eastern portions of the islands have facilities for the disabled. These include Santo Maris, De Sol Spa Hotel, Lilium Villas, Astro Palace, Santorini Princess Luxury Spa Hotel, Alexander’s Boutique Hotel, The Majestic Hotel, and Smaragdi Hotel. You are advised to notify the hotels in advance of your intention to bring in a disabled person with you. This is to let the management make an appropriate arrangement to this effect. It is also to ensure that you find a place to rest your head on as most of these facilities are often over-booked. Whether you are traveling alone or in the company of others, Santorini has a place for you. The island’s facilities may be explored by whole families and single persons in equal measure. 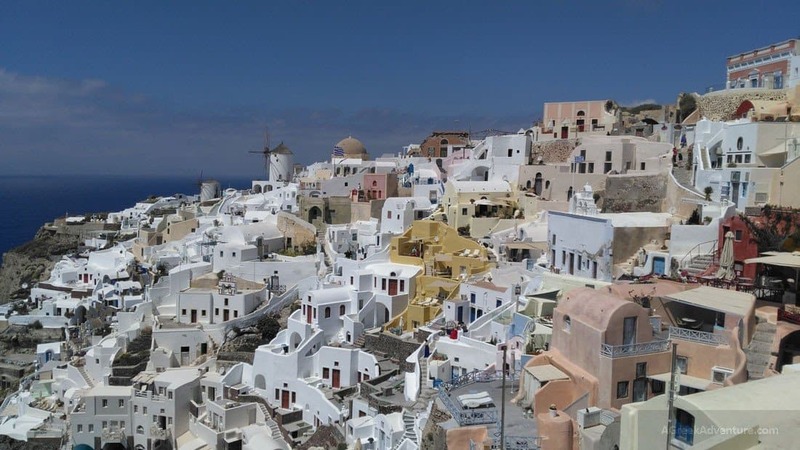 Its hiking Santorini, natural observatories, beaches, and town centers are all great to explore on a solo basis. Moreover, it also has a vast array of accommodation facilities that are geared to the solo traveler in mind. It has some of the cheapest hotels you might possibly find in the whole of Europe. These charge as little as $27 per night. The Absolute Bliss, Sophia Boutique Hotel, Fotinos Houses, and Asma Suites. Because of these, planning for a holiday at the island is not so much of a huge task. All you have to do is to identify the most convenient time for a visit and make the necessary advance bookings. Lastly, the island is also suited for cheap holidays. It has numerous hotels and accommodation facilities that are exclusively intended to make this a reality. As you may have seen from the foregoing, it is dotted with numerous cheap hotels that are easier to afford. The village of Pyrgos is a nice option too. Quite a number of these hotels also have packages that are cheaper to purchase by reason of being formulated with the cash-strapped tourist in mind. 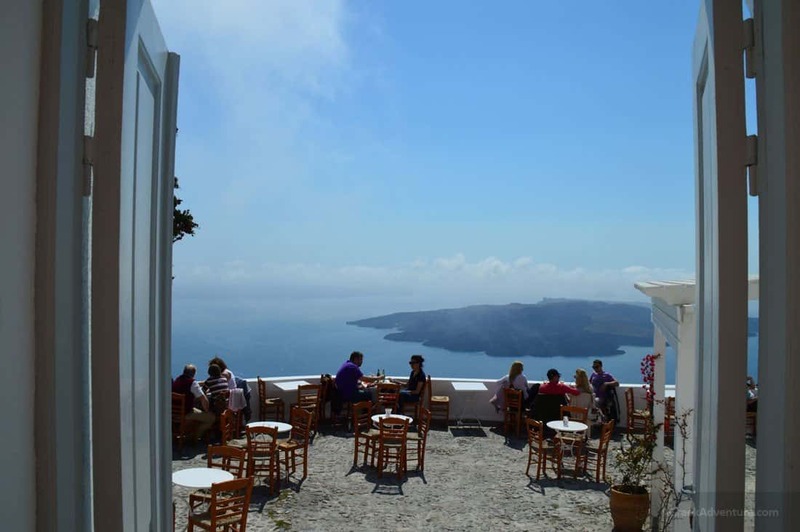 The Kavalari Hotel (Fira) and the San Giorgio (Fira) are perhaps two of the most outstanding of these hotels. If you are short of cash, do not hesitate to spend a portion of your time at the island. We could go on and on and on on. This is because the island has innumerable accommodation facilities and tourist opportunities. Owing to the limited space and time at our disposal, we inevitably had to stop there. From the foregoing discussions, it is quite vivid that a visit to the islands at least once in a lifetime is, by all means, a must. If you have never contemplated spending a chunk of your time at the island, this is the time to draw up plans to that effect. 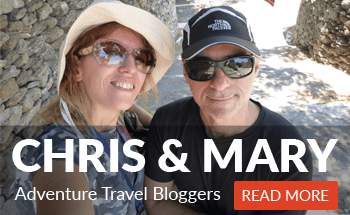 See all our Santorini related posts from here, to find out how to get there (from Athens, Crete or Mykonos) and what to do in Santorini. Given that the island experiences a surge in tourists during the peak seasons, the accommodation facilities may often run out. To be on the safe side, you would rather start planning early. You should also insist on booking in advance to ward off a possibility of finding no accommodation left for you. Before you start planning for your upcoming visit, kindly consider sharing this information far and wide. You do not want to be the only one benefiting from the information provided for here. All the best in your endeavors as you start planning your journey.